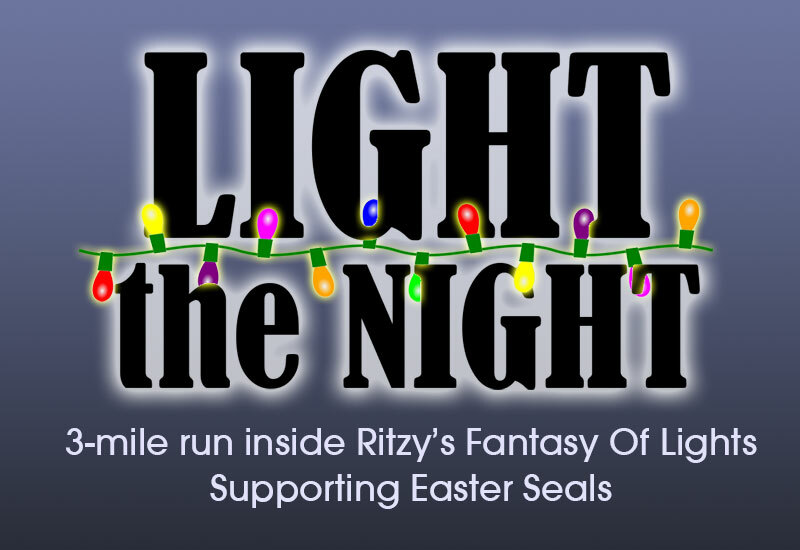 Enjoy the Ritzy’s Fantasy Of Lights in a whole new way with the Light The Night Run! Wednesday, November 30th starting at 6pm. Enjoy a 3-mile run or a 1-mile walk through the light displays in Garvin Park. Registration is only $20 for the 3-mile run and $5 for the 1-mile walk. T-shirt included with your 3-mile registration (Adult sizes S-XL). All proceeds go to support EasterSeals. Race questions may be directed to Rhonda Trail at [email protected].